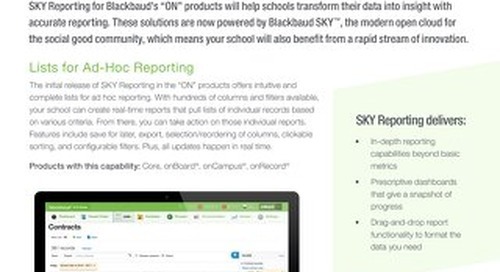 Blackbaud’s education management portfolio (formerly the "ON" Products) was created for schools of all sizes, with solutions specifically designed with lower enrollment schools in mind. These solutions provide a worldclass online experience for families while simplifying internal processes and administrative management. 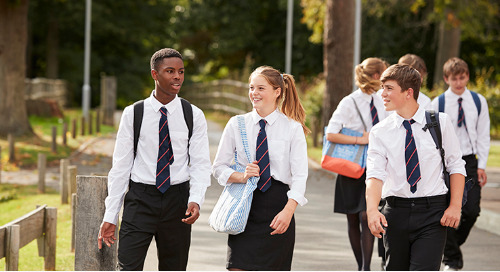 With fewer resources available, small schools need an easy way to manage student data, communicate with families, and operate efficiently—all without a large staff to maintain multiple systems. 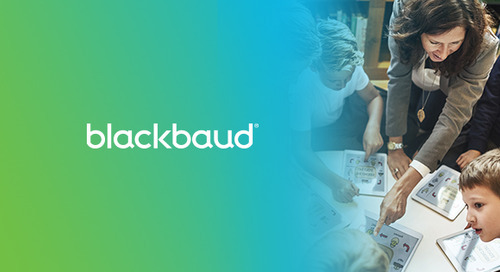 Blackbaud’s education management portfolio gives you the power of purposebuilt products, created for small schools at an affordable price. Save time while keeping families, faculty members, and staff happy. Delight families from application to graduation with the ability to keep track of student progress in real time on any device. Families can apply, re-enroll, pay bills, check grades, and more—all with a single login and a modern user experience. Keep teachers happy with dynamic, easy-to-use tools that help them manage their classrooms. They can also engage students in meaningful ways through interactive assignments, graded discussion boards, and cross-classroom collaboration in a consistent format that keeps families informed. Reward administrators by automating data-driven processes to save time for your staff members. This will help improve data accuracy and eliminate duplicate processes. Please download the infosheet above to learn more. 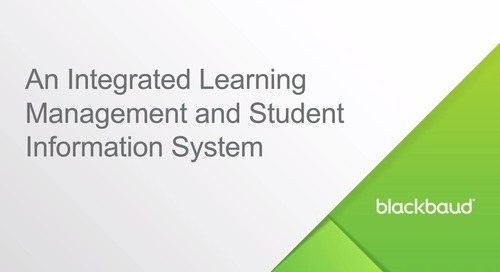 Leap ahead in educational technology with Blackbaud Learning Management System (formerly onCampus) that gives teachers the tools to efficiently manage classroom collaboration and communication. 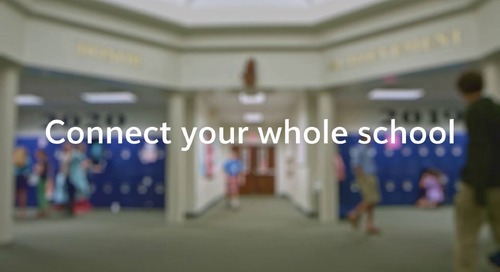 Learn how to connect your whole school from admissions to fundraising.